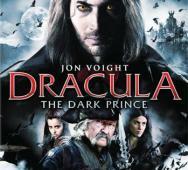 Lionsgate Home Entertainment landed a Walmart DVD exclusive for Jon Voight’s Dracula: Dark Prince. The DVD will release on October 15, 2013 along with the VOD and PPV release on the same date. You can also snag the vampire movie on Digital two weeks earlier. It’s a no-brainer that Robert Kirkman and AMC wants to expand on The Walking Dead franchise so they have greenlit a spin-off series with new characters. 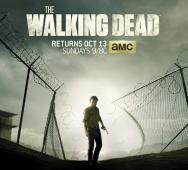 So far news is a little thin but AMC is aiming to release the new Walking Dead survival zombie series sometime in 2015. 20th Century Fox Home Entertainment’s Joy Ride 3 is currently shooting in Winnipeg, Canada. Declan O’Brien (Wrong Turn 3, 4 & 5) will direct Joyride 3 and stars Ken Kirzinger (Freddy Vs. Jason) as Rusty Nail and actor and stuntman Rick Skene in the supporting role. More to come so stay tuned. 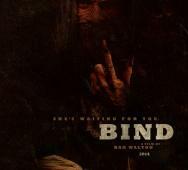 Dan Walton’s Bind horror movie is looking interestingly creepy/scary, I like it! Hopefully this new horror movie lives up to it’s potential. Bind is now in post production and stars Eliza Faria, Sierra Pitkin, Rebecca Rifai, Haley Victoria Hunt, Deborah Finkel, Alisha-jo Penney and Brian Cook. 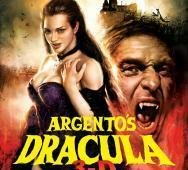 Dario Argento’s Dracula 3D was acquired by IFC Films will will be released in select movie theaters and on VOD this upcoming October 4, 2013. Enjoy the latest movie poster that takes a great touch from the older classic Dracula movie posters. Argento’s Dracula stars Thomas Kretschmann (Dracula), Marta Gastini (Mina), Asia Argento (Lucy), Unax Ugalde (Harker), and Rutger Hauer (Van Helsing). 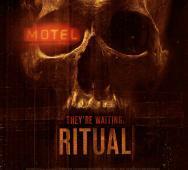 After Dark Films Originals just added Ritual to their lineup. Ritual joins Dark Circles, Red Clover, Asylum, Children of Sorrow and Sanatorium. Below is the one-sheet poster for Ritual along with the synopsis and press release details. I am a little on the fence about this horror movie for the time being but I am curious to hear what you think of it in the comments. 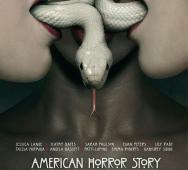 FX just released the plot synopsis for horror TV series American Horror Story: Coven‘s first episode, “Bitchcraft.” This episode will kick off a back in time season giving us some background on American Horror Story. American Horror Story: Coven episode Bitchcraft will air this upcoming October 9, 2013. Gareth Edwards Godzilla Sighted in Brazil! First look at Gareth Edwards 2015 Godzilla creature revealed; I like it! It is much better than the disappointment that was the last Godzilla movie that starred Matthew Broderick. 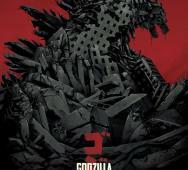 Godzilla is scheduled to release May 16, 2014. What do you think of the creature so far? Colin Trevorrow’s Jurassic World will be hitting theaters in 3D on June 12, 2015, announced by Universal Pictures. What scale will this Jurassic Park 4 movie be because it is already setting itself aside from the franchise and hinting at a very large scale. There was a rumor a little while back that the new movie would have water dinosaurs so here is me hoping that all these speculation are true. Steven Spielberg will be the executive producer so expect great things. TV Guide just dropped a Grimm Season 2 recap video and it is awesome. This is a must see for everyone who already saw season 2 and even those who did not because something that life threw in your way. Anyways, Grimm Season 3 premieres on NBC October 25, 2013 so watch the video and buy the Grimm Season 2 Blu-ray/DVD package. Tony Jopia’s Cute Little Buggers is coming in 3D and sounds pretty good. Basically it is being described as Gremlins meets Hot Fuzz all taking place in the English countryside. Look for Cute Little Buggers is being geared for a June 2014 release date. The horror movie stars Caroline Monroe, Joe Egan, Kristofer Dayne, Gary Martin, John R. Walker, Dani Thompson, Jess Jantschek, Samar Sarila, Jo Price, Sarah Bennett and Leslie Grantham. John Landis and Elijah Wood’s SpectreVision are working together to bring us Bad Vibes. 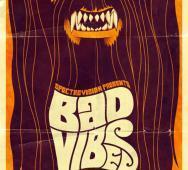 Bad Vibes is a 60’s retro werewolf movie directed by David Gebroe. I for one can not wait to see a trailer to see what this film looks like. So far, the movie poster has style. 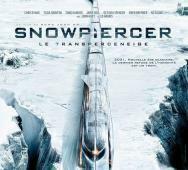 Bong Joon-ho‘s Snowpiercer is waiting on the The Weinstein Company to hack the character development of the movie but in the meantime, watch the latest french movie poster. We get to see a white blanket of landscape with a ruined city covered in snow. All fully expected but the poster still looks great. Snowpiercer stars Chris Evans, Octavia Spencer, Jamie Bell, John Hurt, Alison Pill, Tilda Swinton, and Song Kang-ho. 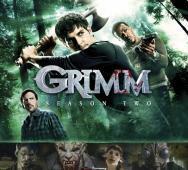 Grimm Season 2 is finally being released to Blu-ray this upcoming September 17, 2013 thanks to Universal Studios. I for one am a huge fan of the TV series. The Grim Season 2 package includes a five-disc plus UltraViolet Blu-ray or DVD set that includes a ton of extras all listed below. Have fun watching Grimm Nick Burkhardt (David Giuntoli). 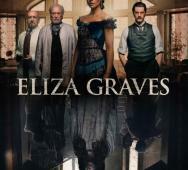 Kate Beckinsale’s Eliza Graves now has a movie poster attached to it. The horror film just recently wrapped up filming just barely making it to the Toronto International Film Festival (TIFF). Eliza Graves takes a lot of the source material from Edgar Allan Poe; an 1845 short story titled “The System of Doctor Tarr and Professor Fether” and is directed by Brad Anderson (Session 9, The Call, “Almost Human”) so you know there is some high expectations here. eOne Entertainment will drop Abducted on DVD this upcoming October 15, 2013. Abducted is a sci-fi/horror thriller in which they are saying that it is like a mashup between Dark Skies and The Blair Witch Project. 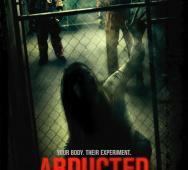 Abducted stars Trevor Morgan and Tessa Ferrer, and is directed by Glen Scantlebury and Lucy Phillips. 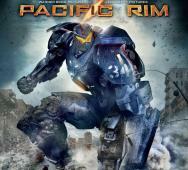 Warner Bros. recently announced the release date for Guillermo del Toro’s Pacific Rim as October 15, 2013. We have scored the motion cover art as well as the traditional cover art. Special features include director’s commentary, focus points, director’s notebook, digital artistry and many more goodies. What is not to like about this package? Elijah Woods, oh young Frodo Baggins, has gone from the timid and weak to a cold blooded serial killer. 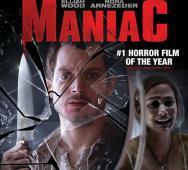 Anyways, here we have the Maniac Blu-ray artwork. 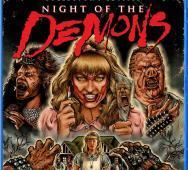 The horror movie will be available to purchase October 15, 2013. Many folks think that the artwork could have been better/gory, what do you think?